After watching IKEA’s wonderful ad for its new “bookbook” catalog, I was reminded of how I functioned as a designer before the computer and to some extent pre-internet. Unless I was creating designs for TV, I worked only in the CMYK, black & white, and PMS (Pantone Matching System) color spaces. When I sent a finished “logologo” to a client, it was in the form of a black and white photostat with Pantone color chips to indicate to the client and printer what colors to use. For larger companies, a brand identity guide was necessary, but there wasn’t an issue with file types. Files and folders were paper and were placed in filing cabinets. Now, files and the folders they are placed into are digital and reside in both the computer and the cloud. When a logo is approved now, I often will spend more time in the seemingly endless process of generating multiple file formats and possibly different configurations in CMYK and spot colors for print, RGB for web, and black and white for both worlds. File formats include some or all of the following: AI, EPS, PDF, PNG, JPG, GIF, SVG, TIF, and PSD. In addition, there is usually a guide needed to help the client know which file types are used for different applications and where those files reside. 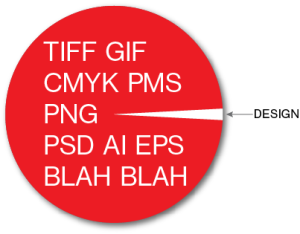 When my good friend and design inspiration for the last 20 years, Ken Silvia saw this blog, he sent me the clever pie chart below. 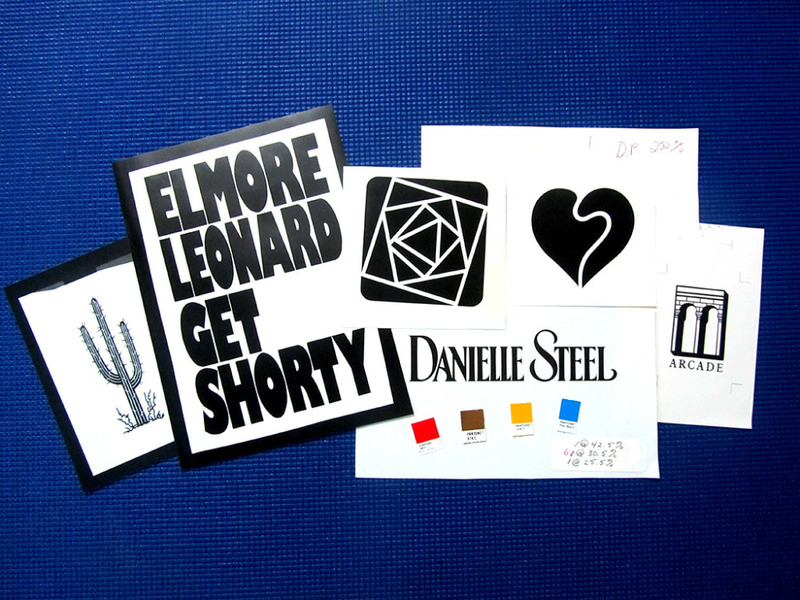 The photo below is of photostats of artwork, type, and lettering used for book covers and logos I designed before the internet. Some were done before the computer was usable as a design tool. D.P. refers to a Direct Positive photostat. Percentages gave the stat house sizes for enlargement or reduction.